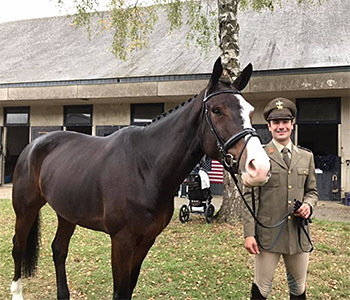 Giovanni’s final event of the year was the Young Horse Championships at Le Lion d’Angers, where Penhill Celtic was contesting the Six Year Old Championship. The pair scored 29.9 in the dressage before jumping a super clear cross country round, ‘Donald’ coping well with the crowds and the atmosphere. On the final day they were just very unlucky to have the last fence down but Gio was still super happy to finish 15th.